The Russian, East European, and Eurasian Center at Illinois is pleased to announce that it recently was awarded a $225,000 grant from the State Department’s Program for the Study of Eastern Europe and the Independent States of the Former Soviet Union (Title VIII). The grant provides support for REEEC’s innovative Summer Research Laboratory, and will provide 55 short-term fellowships for researchers who wish to come to Urbana, consult with our Slavic Reference Service, and work in our famous library collections. The Summer Research Laboratory also features training workshops, mini-conferences, and other scholarly programming. The new grant will also support short term grants for researchers who wish to come to Urbana during the Fall and Spring semesters, in a new program called the Open Research Lab. We owe a round of congratulations to our colleagues across campus–at REEEC, the Slavic Reference Service, and beyond–whose collaborative work on this grant led to such a well-deserved success. Thanks to their efforts, Illinois continues to serve the most basic mission of a public research university: to make advanced study in any field accessible to the largest possible pool of scholars. Illinois Program for Research in the Humanities (IPRH) at the University of Illinois has awarded its annual Faculty and Graduate Student Fellowships to seven faculty members and seven graduate students for the 2017-2018 academic year, which will center on the theme of “Paradigm Shifts.” IPRH also announced its first class of New Horizons Summer Research Fellows for 2017. New Horizons fellowships support faculty summer research and provide for the hire of an undergraduate research assistant. More information about the fellowships and a complete list of fellows can be found here. Please join REEEC in congratulating faculty members George Gasyna and Jessica Greenberg on their IPRH fellowships! The Summer Research Laboratory (SRL) on Russia, Eastern Europe, and Eurasia is open to all scholars with research interests in the Russian, East European and Eurasian region for eight weeks during the summer months from June 12 until August 4. The SRL provides scholars access to the resources of the world renowned Slavic, East European, and Eurasian collection within a flexible time frame where scholars have the opportunity to receive one-on-one research assistance from the librarians of the Slavic Reference Service (SRS). The deadline for grant funding is March 15 and is fast approaching! REEEC will continue to receive applications for the Summer Research Lab after the grant deadline, but housing and travel funds will not be guaranteed. For graduate students, the SRL provides an opportunity to conduct research prior to going abroad and extra experience to refine research skills and strategies. Students will also have the opportunity of seeking guidance from specialized librarians in navigating resources pertaining to and originating from Russia, Eastern Europe, and Eurasia. The SRS is an extensive service that provides access to a wide range of materials that center on and come from: Russia, the Former Soviet Union, Czech and Slovak Republics, Former Yugoslavia, Poland, Hungary, Bulgaria, Romania, Uzbekistan, Kazakhstan, and Kyrgyzstan. The International & Area Studies Library, where the Slavic, East European, and Eurasian reference collection is housed, contains work stations for readers, research technologies, a collection of authoritative reference works, and provides unlimited access to one of the largest collections for Russian, East European, and Eurasian Studies in North America. Mark Steinberg, Director of Graduate Studies, Professor of History, Russian, East European & Eurasian Studies, and the Center for Global Studies, published a new book on February 1st of 2017, The Russian Revolution, 1905-1921, was released through Oxford University Press. Steinberg’s book explores a different perspective of the historical period that ranges from the 1905 Bloody Sunday events to the end of the Civil War, all presented through the perspectives and experiences of those who lived through the period. 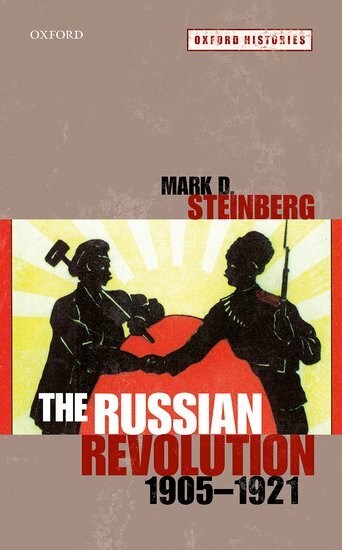 Writing on the key characters of the revolution, including Vladimir Lenin, Lev Trotsky, and Alexandra Kollontai, Steinberg takes knowledge and information from the present and uses it to breath new air into the past. For more information on Dr. Steinberg’s book, follow this link to Oxford University Press. 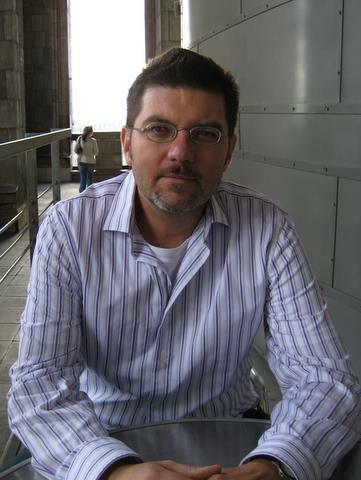 Marek Sroka, Librarian for Central European Studies and Associate Professor of Russian, East European & Eurasian Studies, published “American Books to the Rescue: The American Library Association (ALA) and the Postwar Restoration of Polish Libraries, 1944-1948,” in the final issue of 2016’s The Polish Review 61(4), and then published “”A Book Never Dies”: the American Library Association and the Cultural Reconstruction of Czechoslovak and Polish Libraries, 1945-48,” in Library and Information History 33 which was released in 2017. Dr. Kristin Romberg, Assistant Professor of Art History and REEEC Affiliate, published an anthology, “Tektonika,” in volume 1 of Formal’nyi metod. 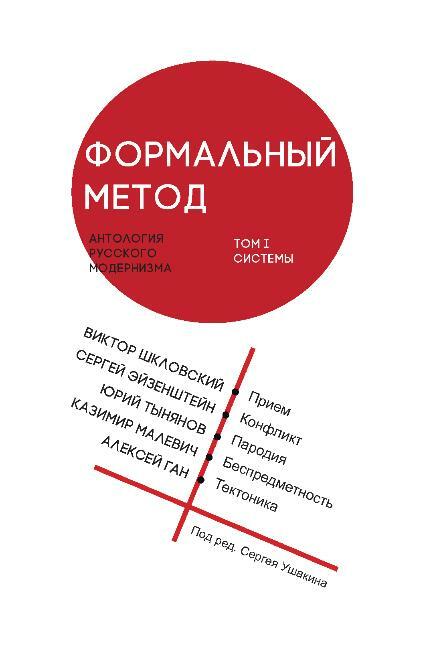 Antologiia rossiiskogo modernizma (The Formal Method: An Anthology of Russian Modernism), edited by Serguei Oushakine and published by Moscow and Ekaterinburg: Kabinetnyi uchenyi in the summer of 2016. Romberg also spoke at The Russian Avant-Garde: Scholars Respond panel at the Museum of Modern Art on February 8th, 2017. The panel was organized in tandem with the exhibition A Revolutionary Impulse: The Rise of the Russian Avant-Garde and discussed the how an art object could be revolutionary. Information about the panel is available here. Description: Exploration of the effect of traumatic events, shifting cultural narratives, and social transformations on the construction of collective identities in Bosnia, Croatia and Serbia in the 20th and 21st centuries. Students will read historical and sociological works as well as fiction and poetry. Description: An exploration of how filmmakers and actors, from the 1920s to the present, have portrayed, often in revolutionary ways, revolutions and revolutionaries—from the 1700s to the future and from the Soviet Union to China, Paris to Algiers, Poland to Cuba, Chicago to New York. Students will be able to influence the final selections of films. The course emphasizes the collective experience of watching and discussing films together each week and immediately interpreting, though inspired by selected written texts, mostly primary historical sources, read in advance of each screening. And we will constantly question the logic of the course: what is the relationship between films and history? Each week, students will write weekly analytical response essays of the films and readings. Description: This readings seminar will examine key historical and historiographical issues of the 70-year history of the Soviet Union. Weekly discussions will be based on extensive common and supplemental readings, including both new work and “classics”. We will consider substantive, methodological, and theoretical aspects of the field. Topics to be addressed may include: the 1917 revolution, Civil War, NEP, Soviet subjectivity, identity-formation, the Communist party, Stalinism, gender, collectivization and peasants, industrialization and labor, the terror, ethnicity and nationalism, war and Cold war, cultural revolution and popular culture, destalinization, and the everyday life of developed socialism. Four papers will be required, including a survey of one of the weekly discussion themes, one scholarly introduction to a particular primary source for Soviet history (novel, memoirs, reportage), one review essay of 2-3 novels or memoirs on a particular topic, and one brief scholarly book review. Ability to read in Russian is expected for those specializing in Russian history, but not necessary for others. Description: Examines the evolution, structure, and functioning of post-Soviet governments. Prerequisite: PS 240 or PS 241, six hours of Political Science credit, or consent of instructor. Description: We focus on three overarching questions to structure our exploration of Central Asia. In the first section, we focus on approaches to the question, “What is Central Asia?” Comparing and contrasting how we identify the area historically and by familiarizing ourselves with the basic geography of the region and key social, cultural, political and economic issues. In the second section we will focus on the question, “How can we analyze the region sociologically?” highlighting issues of basic social theory and comparative analysis. The third section of the course turns to the question, “Why does Central Asia matter?”, providing participants with the opportunity to link what we have learned about the region and social theory into evaluating global issues concerning gender, human rights, citizenship, and civil society. Description: The HIV/AIDS pandemic has drastically altered the global social, political, economic and demographic landscape. Delivering education concerning the virus, expanding prevention programs, monitoring the needs of countries and communities affected by HIV and AIDS, making treatment accessible and providing care continues to challenge the capacities of families, communities, countries and international organizations. While based within a socio-demographic tradition, this course draws on literatures from many disciplines to highlight the general contours, continuing debates, and ethical challenges related to the pandemic globally, nationally and within Illinois. As an introductory course, we will share strategies to enhance core academic skills focusing on effective approaches to college level reading, note taking strategies and formal writing skills. Participants will become more informed of the HIV/AIDS pandemic, learn core social science theories and develop a strong tool box of academic skills. Description: This is an 8-week course in the Spring and uses a blended learning approach. In addition, students complete a service learning placement with a grassroots organization in Russia or an Eastern European country for two months during the summer. Students apply for these service experiences from within the Omprakash network of over 40 Partner Organizations in Russia/Eastern European countries. Alternatively, the student can work with existing department or university-level partnerships in the region. During their service learning experience, participants engage with local communities, document local perspectives, and work with the grassroots organization to promote social change. Each student develops this experience into a final Capstone Project. 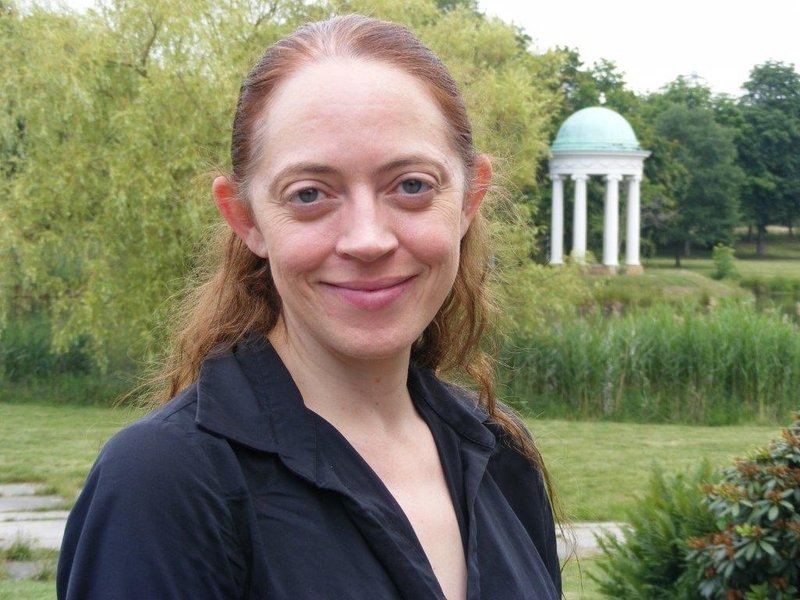 Congratulations to Rebecca Mitchell (PhD in History, 2011) on receiving the W. Bruce Lincoln Prize from the Association for Slavic, East European, and Eurasian Studies (ASEEES)! The prize is awarded for an author’s first published monograph or scholarly synthesis that is of exceptional merit and lasting significance for the understanding of Russia’s past, published in the previous two years. 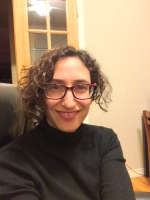 Rebecca is Assistant Professor of History at Middlebury College, where she teaches courses on the Russian Empire, the Soviet Union, and the relationship between music and power in history. Her book is entitled Nietzsche’s Orphans: Music, Metaphysics, and the Twilight of the Russian Empire (Yale University Press, 2016). To view the original announcement from ASEEES, please see http://aseees.org/news-events/aseees-news-feed/aseees-announces-2016-prize-winners.